Damn Netflix. So, we got Netflix. At first I thought it would good because we could use it for kids shows for my daughter. Then I got into watching old television shows becuase I never seem to be able to catch up on serial shows. 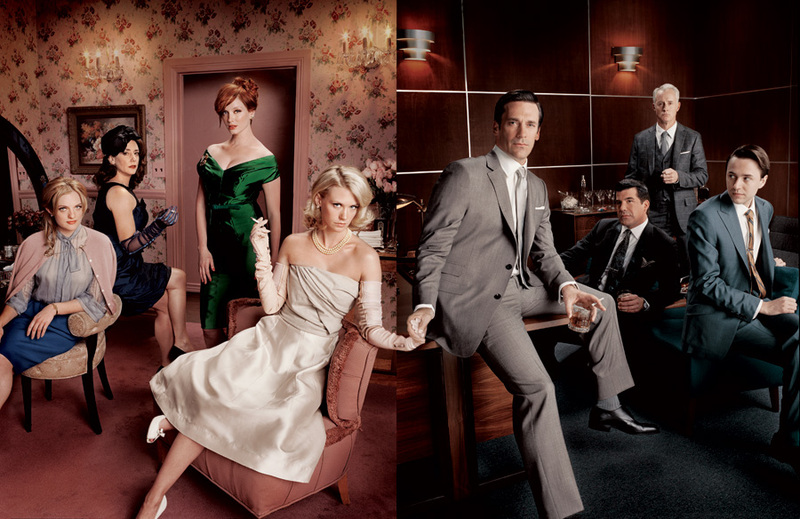 I got into watching Mad Men because of a colleague at work. He said that I would really get into it. He was right. I absolutely love the writing, the acting and the style. I love how they have integrated the events of the 1960’s into the episodes. The 1960’s have been a favourite decade of mine. I have been staying up late almost every night and watching at least 4 episodes per night. Why don’t they make more television shows like this? I haven’t been this obsessed with a TV show since The Sopranos! Enhancing communication between owners, residents and board members at Cedarbrae Gardens. Brian Sibley's thoughts on business and politics, the arts, the practice of marketing/PR/communications, and other change-related topics. Lawyer by trade. Writer at heart. Housewife by accident. Sarcastic and awesome work so well together.